Brigg Liberman Joins A BRONX TALE, Ben Cook in WEST SIDE STORY Movie, and more! 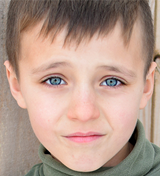 Congratulations to Brigg Liberman, who has joined A Bronx Tale! Congrats to alum Ben Cook (Newsies, Billy Elliot), who has been cast in the West Side Story movie remake! Get more casting info HERE! Alum Josh Davis (A Christmas Story) is performing in West Side Story at the Harris Center in Folsom, California, April 26th to May 5th! Get tickets HERE! The University of Illinois Springfield Performing Arts Center has announced their 2019-2020 Madden Broadway Series, which includes Waitress! Get more info about the season below! The 2019-2020 Fresno Lexus Broadway in Fresno season at the Saroyan Theatre has been announced, and includes Waitress and Les Miserables! Get more info about the season below! And check out these pictures and video from the kids of The King and I, The Lion King, On Your Feet, Les Miserables, School of Rock, and Anastasia! Addison Valentino, Aubin Bradley, Blake Ryan, Carmen Sanchez, Cate Elefante, Celina Smith, Eamonn Hubert, Isabella Rose Sky, Jordan Vergara, Kylie Kuioka, Linder Sutton, Parker Weathersbee, Richard Phillips Jr.
Amelija Hill Joins THE SOUND OF MUSIC, Young Voices for Change at 54 Below Tonight, and more! 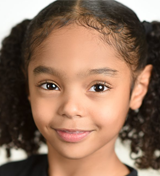 Congratulations to Amelija Hill, who is joining The Sound of Music! Super thrilled to officially announce that I booked The Sound of Music national tour! Tonight, performers including Carly Gold (Fun Home), Clementine Kline (A Christmas Story), Caitlyn Kops (How the Grinch Stole Christmas), Julian Emile Lerner (Les Miserables), and Nicky Torchia (A Christmas Story) will perform at 54 Below in “Young Voices for Change”! Get tickets HERE. Fiona Morgan Quinn (How the Grinch Stole Christmas), Catherine Bradley (A Christmas Story), Julian Emile Lerner (Les Miserables), Gianna Harris (School of Rock), Jake Heston Miller (Love Never Dies), Jenna Weir (Matilda), Alexandra Bradley (The Sound of Music), Joshua Turchin (A Christmas Story), Will Coombs (Matilda), and more have joined the cast of the next (YOUNG) cabaret on April 21st! Get tickets HERE. 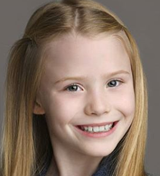 Audrey Bennett (The Sound of Music) is playing Young Mike D in Beastie Boys Story Live! 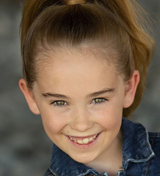 Catch Lily Brooks O’Briant (Matilda) in Season 2 of “The Tick,” now streaming on Amazon Prime! And here are pictures and videos from the kids of School of Rock, “A Time To Rock” at The Green Room 42, Finding Neverland, The Lion King, and The King and I!